The self-published collection of critically acclaimed short stories, Wolves, The Mire, and Demeter. "In 'WOLVES,' Becky Cloonan gives readers a haunting, beautiful and tragic tale of horror, sword and sorcery, and doomed romance. It's a short done in one story but the visceral action and characters' emotions jump right off the page and pull you into the mysterious tale. In 20 pages of story and art, Cloonan tells one of the best and most powerful stories of 2011." Comic Book Bin gave THE MIRE a 10/10, and calls it "Sharp, short, and beautiful... sublimely frightening". THE MIRE also won an Eisner Award for Best Single Issue in 2013. 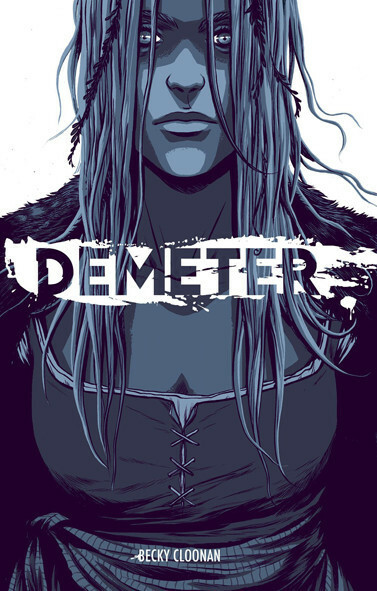 DEMETER won the British Fantasy Award for Best Comic in 2014. IGN also gave DEMETER an A+. That's like the best grade I ever got! The hardcover collection is currently sold out but the single issues are still available!